Making a strong sales pitch is a must if you want to close the deal. You need a strong sales pitch to generate interest and get a commitment from any prospective customer. Some sales recruiters and reps are great at them, others not so much. It’s safe to say that if you mess up your pitch or say something that has little or no effect on the customer, your deal is in jeopardy. Many within the industry will argue it’s the core element of the business process. You need to pitch to create awareness and interest in your products and services. If you passively wait for business to come to you, you could be waiting for a long time. Unfortunately for you, it’s much easier for a pitch to fall flat or fail to connect than to make a pitch that has a customer ready to close. But you can make it even more difficult to gain progress when you use certain undesirable words and phrases. There are certain things you just shouldn’t say during any sales pitch. It’s not the fact that saying these things is inherently bad, but there is a certain connotation associated with these words and phrases within the context of a sales pitch. The scary part is you may be saying these phrases that are killing your deals without even knowing it. Utter the following words and phrases and you may just kill the deal yourself. 1. Are You the Main Decision Maker? In sales, we all want to speak with the key decision maker. You want to talk with the person who has the authority to sign off on a deal, but we don’t always know if this is the case. While determining the main decision maker is important, it’s important to ask the question in a different way. Yes, but: They may be able to make some decisions but with the authorization of a superior. You should know: They could be difficult and claim you should know who you are calling. Disrespected: Some people may feel disrespected if you outright ask them. Others lie because they want to feel important. So do millions of other products. Almost all sales reps make these same generalized claims about their products and services. These words are used so much that they have very little meaning today. Using these words will do very little to differentiate yourself from the competitors in your industry. Worse yet, it could make you blend in. If you are going to highlight features and benefits, be unique and get specific about the prospect’s specific needs. There are many things sales recruiters and reps promise when trying to close a deal. Saying they have the highest quality product is common. But can you prove it? Don’t communicate you have the highest quality if you don’t have the research to back it up. Similar to highest quality, avoid saying you have the best customer service unless you are willing to back it up. Have proof ready, such as customer testimonials and case studies. Never make assumptions in sales. Never assume a customer will take a specific action based on your pitch. Avoid formulating your pitch based on assumed information. Always get the facts straight before moving forward. When you assume, it often backfires on you. Strong communication with your customers and doing detailed research will ensure you are acting on the most accurate information. I want, I need, I would like to, I think are all the phrases you need to stop using as part of your sales pitch. Your pitch is not about you or your company. It’s about your prospect and addressing their needs. Focus your pitch on helping your customer address a specific need or develop a solution. 6. Can I Offer You Some Advice? This is a risky question to ask because it can backfire on you. Not all customers are seeking out advice. Asking this question can come across as you think you know best. Plus, what if they say no? Look for open-ended ways to ask this question. 7. Does That Make Sense? While innocent enough, this question often offends people. Why? It can make them feel dumb, inexperienced, and as though you are patronizing them. People want to be treated as equals, and by asking this question, you are talking down to them. Even if there is no intent to do this, there is a better way to approach this. This phrase is a crutch for many people, even outside of sales. While the intent of “to be honest” is to get a customer to pay close attention to important information, it’s never interpreted this way. People interpret this phrase as a red flag. When they hear it, they question whether or not you’ve been completely truthful with them. Avoid using it or you could risk losing the trust you’ve worked hard to gain. But what if they have? You’ve likely lost the deal on the spot. You don’t know what a prospect has or has not seen. Plus, the odds are there is another similar product or service already on the market. Avoid making these types of grand statements. Yes, you are. We all are. Everyone is doing their job for the money, so don’t pretend you are only doing sales to help people. No one believes this statement, and you will only risk the trust you built with a prospect if you use statements like this. 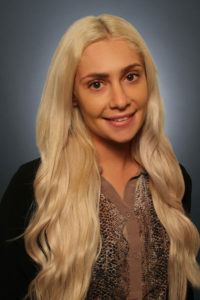 Natalie is a Recruitment Consultant with SalesForce Search, specialized in identifying and recruiting top performing sales talent across Canada and the US. After a successful career in corporate event sales, Natalie knows firsthand what it takes to thrive in a sales environment and can quickly identify those traits in a candidate. She thrives on being challenged and is always ready to take on new experiences and build success!